Terminology and symbology to be used in the design of fenders systems. Definition of each existing vessel types. Materials to be used in fenders systems. Determination of approach speed of each vessel types. Determination of kinetic energy and contact pressure. Effect of the approach angle in the energy absorption capacity of elastomers. Number of elastomers to install and the distance between axes of the elastomer. Characteristics of each different type of docks. Characteristics of each different type of fenders. Advantage and disadvantage of each different type of elastomers. Dimensions of each different type of vessels. Characteristics of the rubber used in the manufacture of elastomers. Terminology and symbology to be used in the design of fenders systems. Characteristics of each different type of elastomers. Hazard of metal corrosion. Determination of kinetic energy. Necessity and selection of chains. Materials to be used in fenders systems. 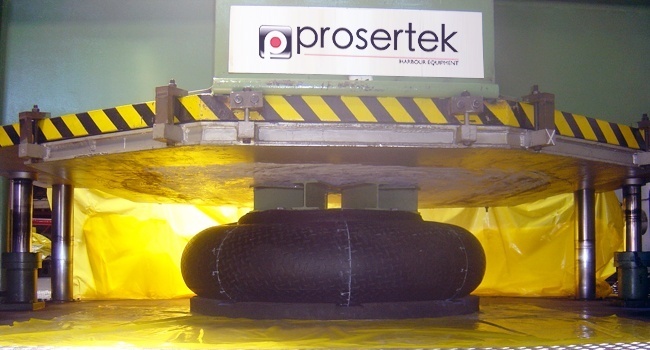 Quantity of elastomers to be install and the distance between axes of the elastomer. Definition of each different type of vessels. Protocol which defines the procedure for determining and inform the operating of fender systems.